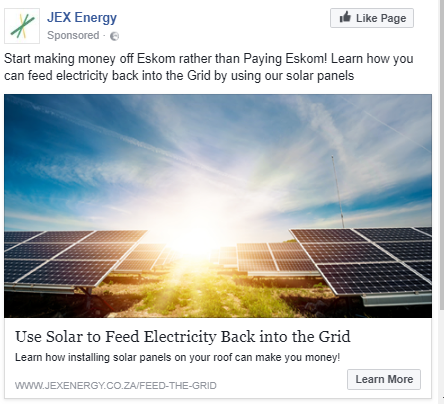 JEX were getting approximately 2 leads per day primarily through Adwords. 60 Leads per month can be very lucrative in a high ticket item industry but the problem was that they were closing only about 1 in 20 leads. We were particularly excited to get involved in the solar industry as we considered solar having a hybrid potential between inbound and outbound approaches. Solar is what we consider a non-time dependent industries. A time dependent industry is one where prospects will only consider a certain service or product at a very specific time or based on a key event occurring. Needing a new website design or requiring a plumber are two good examples of time dependent services. A non-time dependent industry is one where prospects are always open to a service or product if the value proposition is right. Buying a coffee machine or installing an energy saving meter are items which interested prospects will consider regardless of a certain event taking place. Most solar products fit into the non-time dependent industry category as pretty much everyone consumes electricity constantly and solar offers a green alternative to this. One of the most common mistakes we see companies making when paying for inbound traffic (through Adwords or some other paid advertising medium) is to only measure which keywords are converting into leads. The reason why this is a misleading optimization approach is because the only metric that is really important is sales. Therefore we need to rather be looking at which keywords produce sales rather than which keywords produce leads. This mistake is seen in almost every industry we work in. In every industry the generic keywords (in this case “solar”, “solar geyser”,”solar power”) have the most search traffic and therefore produce the most leads. However because these are top of funnel searches (the search is not very educated at this point), very few of these search types result in sales. 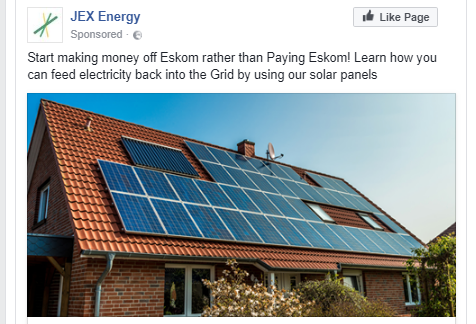 A far better approach is to big on cheaper longer tail keywords (“200 litre solar geyser price”) as the search is much closer to buying when they make these types of queries and although the search traffic is much lower for long-tail searches, the conversion rates are much better! B2B cold calling can be incredibly effective but we decided to rather use a Facebook push campaign to gather leads quickly for our closers to call. 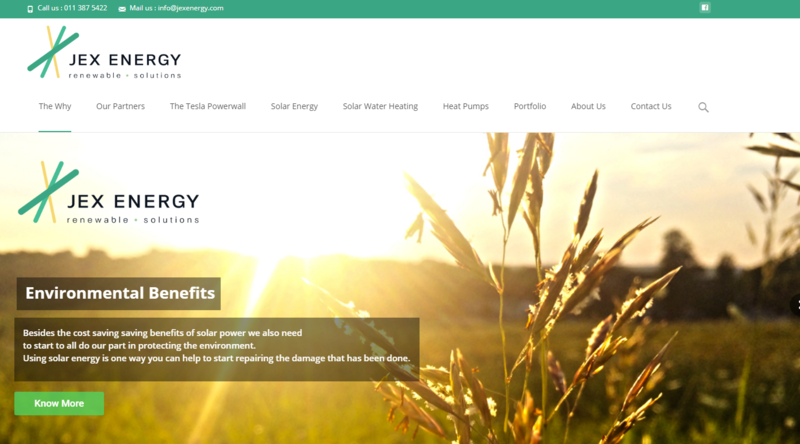 We knew green energy was a hot topic and therefore we expected a promising result. By focusing on the whole lead journey we managed to optimize the inbound campaign by eliminating non-sale producing keywords, that originally looked to be effective (as they were resulting in a lot of leads but were producing no end results). This resulted in the same number of sales at an immediate cost saving of approximately 50% . We then used the left over budget and pumped that into our Facebook outbound approach which resulted in 90 leads per month with a net average of 15 appointments per month all at the same original cost of marketing. Through our time working with a number of customers in varying industries we have noticed that these problems are evident in almost all of the cases we work with. What we have found is small tweaks like this are possible in almost every industry and one of the best parts is that these tweaks are fairly quick to implement so results should happen almost immediately.